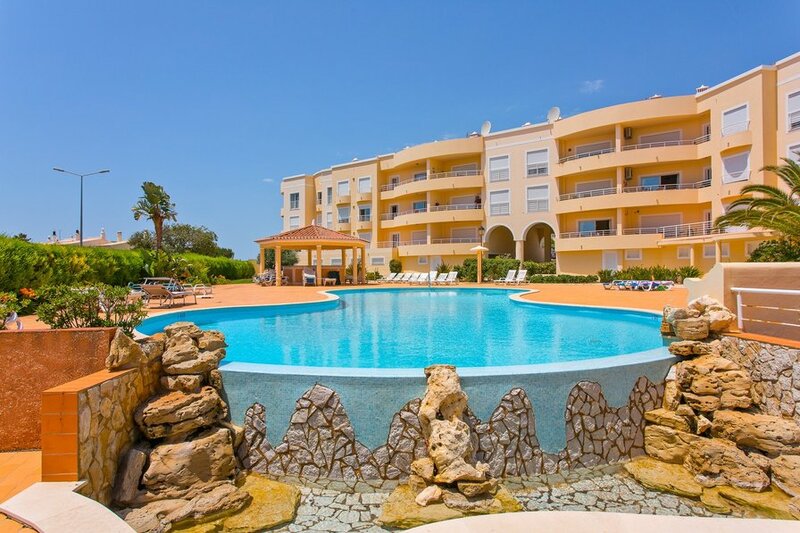 One of the nicest apartment complex in the western Algarve resort. Praia da Luz offers an array of bars, restaurants and shops without the bustle of the bigger tourist resorts. The apartment complex comprises of two pools, one being a child`s pool, a considerable sun loungers area and a pool side bar ( can not guarantee id it will be in operation, during your stay ). The apartment is furnished to an exceptional standard throughout and has everything you will need to enjoy your stay. Along with all the modern accessories such as a dishwasher, washing machine etc. The bedroom has a double bed. In the large lounge has a fold out sofa bed suitable for another 2 persons. All bed linen and towels are also provided. Beach Towels can be required, but they will have to be cleaned at your own expenses. The apartment its beautifully presented with everything you need for the perfect Seaside Algarve holiday.